Broch is a subtle blend of colours using black, teal, mallard and a mixed humbug stripe. 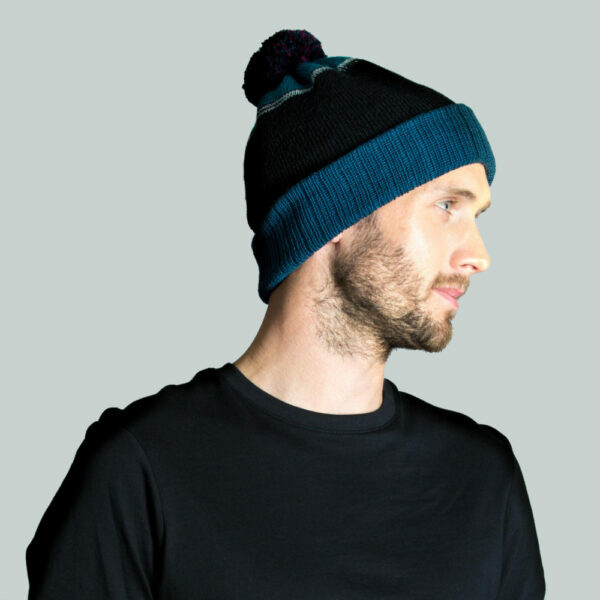 We’ve shaped the top of the hat carefully to create a comfortable fit close to your head. 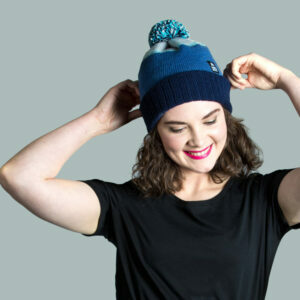 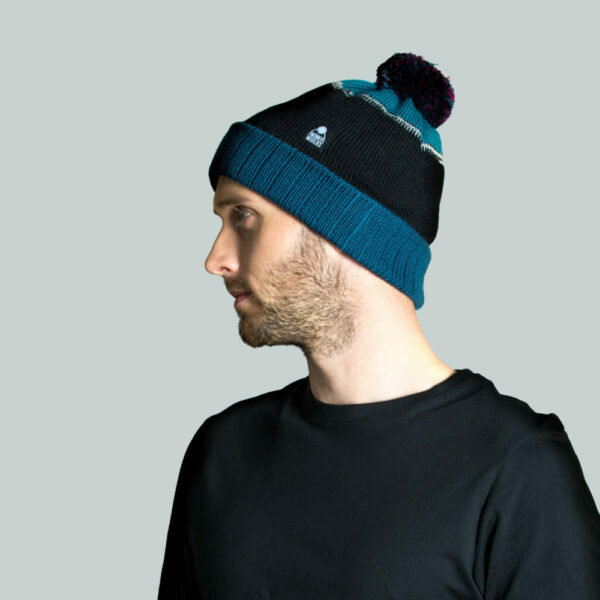 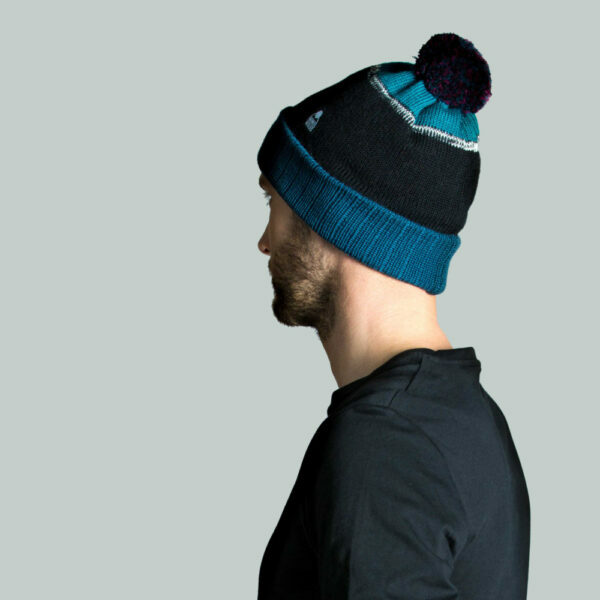 The pompom brings a pop of colour to the top of the hat with teal and purple mixed together which is sewn on by hand to make sure it stays there. 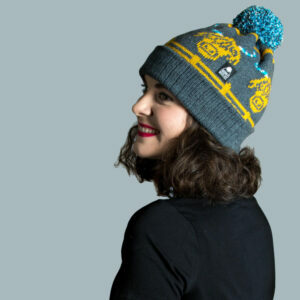 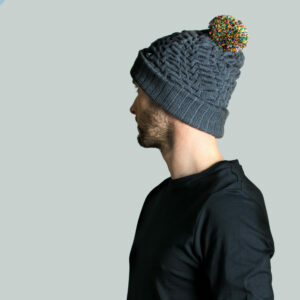 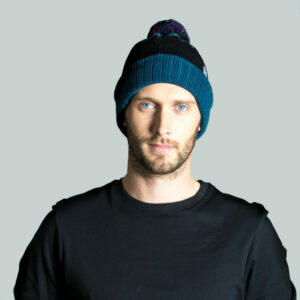 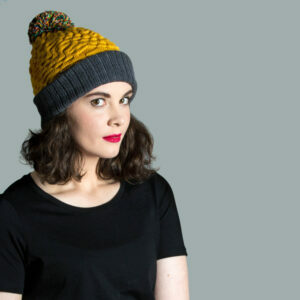 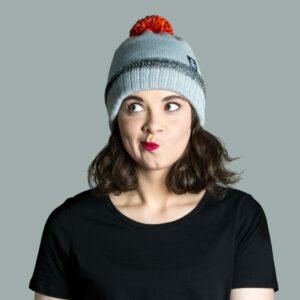 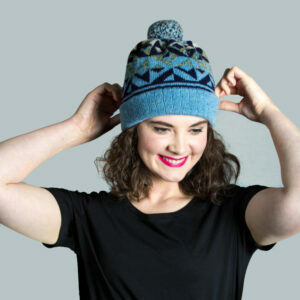 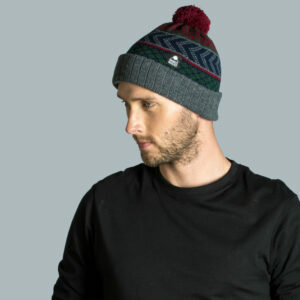 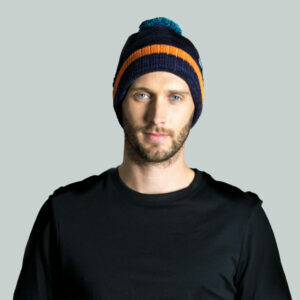 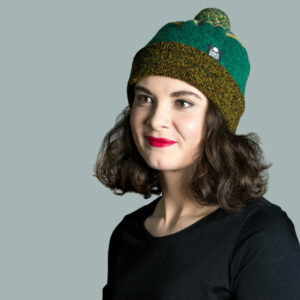 Knit with a double layer of heavy weight wool, this hat is made for active outdoor wear. 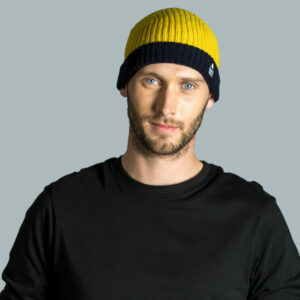 The natural wool wicks away sweat while allowing your skin to breath, it’s a treat to wear.